Do you want to manage your African country with China and Chinese cities trade relations? What topics and stereotypes African People think about Chinese? Are you in import export business? Do you have good ideas about your African country that could help it (here virtually)? Contact us here, mayado@sylodium.com for be our blogger managing this bilateral trade news or to be our collaborator to participate in virtual business, specially in Shipping Business. So if you are a good thinker, visionary, hard studious, you can become our blogger in this to win money together. And if you are in import export business, you can be our African agent in your African country. Tap our unique Crossing System. (Institutions and media need us). ‘Chinafrica’ is a macro megatrend set to impact everything from Silicon Valley to Wall Street. VCs and startup founders rarely pay attention to slow-moving but powerful macro global events, especially with so many fast-moving things to focus on at the micro level, like technology, teams and trends. While VCs and startup founders often are the earliest to know about cutting-edge technological advances bubbling from the bottom up (while public-market hedge fund and global macro investors find out about them only later), they often are the last to know about global macro forces that may impact them. When the financial crisis hit a decade ago, hedge fund managers with strong reputations as stock-pickers suffered big losses. So they raced to show off their global “macro” bona fides and that they grokked and were protected from the mega forces that might slam their portfolios in the future. As a VC firm spending time with many global macro investor friends, we get to learn about risk and opportunity in unappreciated macro developments. When you are trying to pick the best founding team or technology breakthrough or startup, ignorance of the macro is no virtue. Think of it like this: skillfully selecting the very best dish on a menu, after choosing amongst the very best restaurants, out of the very best neighborhoods, of the very best town of the very best city… only to have Godzilla appear out of nowhere and stomp and crush it all mid-bite. The most important macro trends are often not the front-page news already appreciated in asset prices, but the lesser-talked-about mega trends being missed. 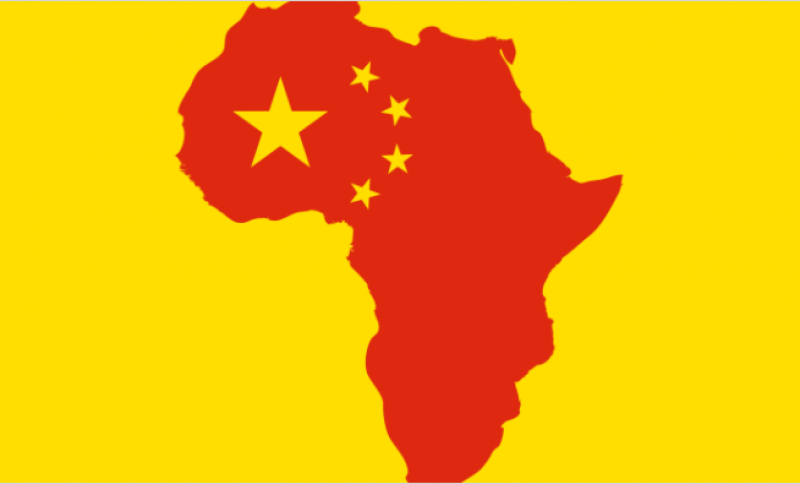 One of the biggest we call: “Chinafrica,” China’s growing access and influence throughout the African continent. For China, Africa has stuff (iron, copper, cobalt, oil), markets for Chinese manufacturers and construction companies and a platform to project influence. For Africa, China offers rapid build-out, best and worst practices in infrastructure, manufacture, labor management, technical training and, importantly, growing trade and modernization. How could this affect tech, VC and Silicon Valley? First consider some trends. Capital goes where it is welcome, and stays where it is well treated. The same is true of human capital, talent and labor. China has seen mass movement of human capital from country to cities, a peak in labor force (likely to decline), a rising cost of labor, a growing middle class and the flow of demand for lower-cost labor into neighboring countries like Vietnam, Laos and Cambodia. As parts of China’s economy emphasize technology and services, it will for better or worse export to other low-wage developing nations its best and worst practices and its expertise in manufacturing, managing labor and building mass infrastructure. China will help set up, and in many cases, co-own or operate manufacturing facilities, infrastructure (rail, water, mining, electricity) and transportation and shipping hubs. It’s classic mercantilism: China through trade gains geopolitical influence. It will grow both its economy and its projection of power beyond the Asian Pacific rim, leveraging the African continent to project trade and power into the Atlantic Ocean on Africa’s west coast and the Indian Ocean, Arabian Sea and beyond to Africa’s east coast. Over the next generation, in the next 35 years, 1 in every 4 people in the world will be African. Right now, and in contrast to China, half of the African population is under 20, and the working-age population will expand by 20-30 million people per year over the next generation, going from 530 million people in 2015 to 920 million in 2035, and on to 1.4 billion by 2055. Meanwhile, the UN projects that the working age population of China will shrink from around 920 million in 2015 to 667 million by 2055. By this time, most of the net growth on the world’s labor force will occur in Africa and by 2050, Africa will make up 25 percent over the world’s workforce. Already China is investing in training across Africa. Chinese tech giant Huawei earns 15 percent of its global revenue in Africa but also trains 12,000 students throughout Kenya, Congo, Angola and Nigeria in telecom and technology. China is not just capturing commodities in nations like Nigeria and South Africa. China also is active in less commodity-rich nations like Kenya, Ethiopia and Uganda, in part because they are growing economies and geopolitically strategic. China has made big investment into relationships with these African nations as a source of labor for the Chinese economy. Chinese firms have been disproportionately awarded infrastructural development projects in Africa, and more than a million Chinese nationals have moved to Africa to work for satellite offices of Chinese firms (most notably in construction). U.S. trade has declined over the past decade (from almost $150 billion a year to less than $50 billion — some of it because of the U.S. fracking revolution since 2011). But trade between Africa and China has ballooned over the last two decades. In 2000, Chinafrica trade was around $10 billion. By 2014 it was $220 billion. The U.S. has 49 trade missions throughout the continent, while China has 52, along with more than 2,000 peacekeepers and troops in Congo, Liberia, Sudan, South Sudan and Mali. While this relationship between Chinafrica was well-balanced for years, since 2015 an alarming trade imbalance has developed, which many African leaders are now taking on. China’s imports from Africa fell nearly 40 percent in 2015, to $67 billion, while exports grew. From 2006-2014, the growth rate of China’s imports averaged 13 percent year-on-year but is expected to fall to 3 percent over the next few years. Overall, Chinese imports and exports still represent only a small portion of Africa’s total trade. China’s investments have been growing, as have its lending (and implicit claims on assets if loans don’t pay off). A third of all of China’s loans to Africa are secured by commodities. China’s loans to African nations totaled $5 billion per year from 2006-2010, $10 billion per year from 2011-2012, and $15 billion per year from 2013-2014. Some estimates have China accounting for one-sixth of all lending throughout Africa. And notably, loans from China made up 13 percent of total loans that Africa received in 2014, but were tied to market-based interest rates, instead of little to no interest rate like those from the west. While African leaders might begin to change their tune and drum up populist anti-China sentiment, for now China is winning over much of Africa. In Senegal, 86 percent of people said China’s role in their country helped make things better versus 56 percent who said the same of Americans. The number was 91 percent for Kenya. As the base layer of physical infrastructure get built out, we at Lux are watching as there is likely to be a significant growing market for software, services, telecom, data centers, technological infrastructure and application layers on top of it all. China tech companies will play a big role here. And U.S. startups partnered with Chinese heavyweights may find faster in-roads than lumbering U.S. companies like IBM. The odds are high for Chinese mobile companies or social networks to implement, invest or outright acquire local country-level or continent-wide networks that can generate credit, influence populations and, of course, sell products and services. All this has been happening for the past 15 years with little attention. Activity is accelerating and the macro opportunity for tech investors and entrepreneurs is becoming more real by the day.